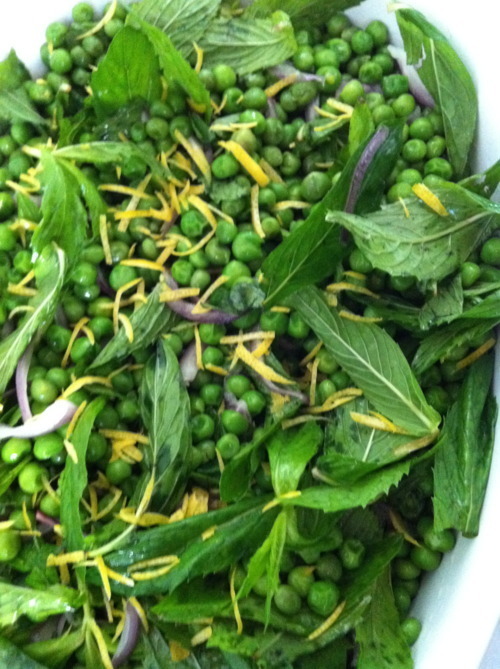 Mint and Pea Salad (Happy 2012!!!) | Izzy have you eaten? Emerging from the tundra of far North America, it is a wonderous thing to be experiencing this searing heat down under. It is New Year’s eve and dad has been helping you over the last couple of days to assemble all the Ikea furniture in your new room on Drummond Street. How exciting to be starting the year with a new address! We all hope you’ll be so happy in your new share house. This entry was posted in GROUP C, Uncategorized and tagged Mint, Peas, Vegetarian by tgb9593. Bookmark the permalink. i made this last week, and mim, liv and I had it as a side with pieces of salmon that we cooked with capers and dill.